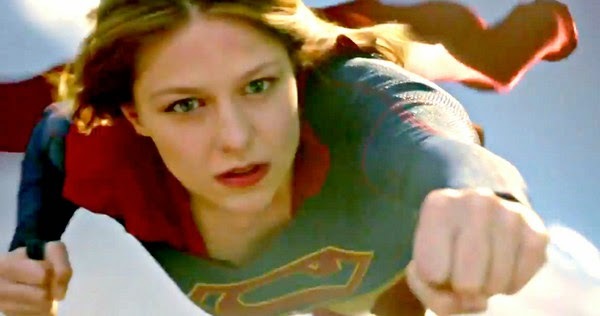 Marvel vs. DC - Supergirl, Suicide Squad and some Infighting? 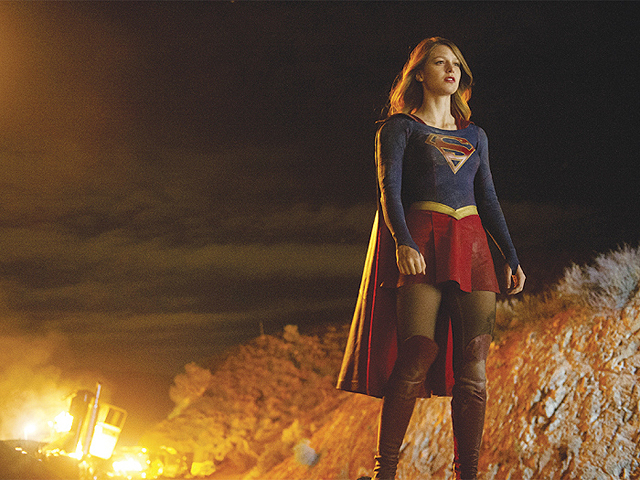 We have a look at Supergirl, hear some casting news and see a little DC and Marvel infighting. Billie Piper will be a guest at this years Boston Comic Con on July 31st and August 1st. She will be appearing on Friday and Saturday only. Photo tickets go on sale June 15th and other tickets will be later. Tickets for the con are on sale now. Here is the new episode of the BBC Doctor Who Youtube channel The Fan where they look at Doctor Who invading the world. Karen Gillan was on Comedy Bang! Bang! and was dishing some secrets for Guardians of the Galaxy 2. She does give some stuff away so if you want to be spoiler free for the sequel then you should look away. Karen Gillan was interviewed by a nine year old girl last weekend at the Denver Comic Con. Below is the interview which is pretty good as she answers questions about Guardians of the Galaxy and of course Doctor Who. 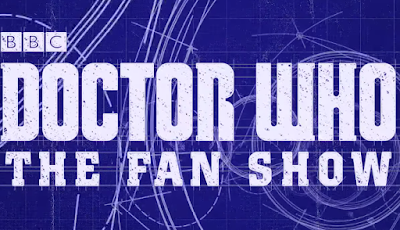 For those of you lucky enough to have tickets to this years SDCC you will have the opportunity to see Peter Capaldi, Jenna Coleman and Michelle Gomez at The Doctor Who panel. The panel will be on Thursday July 9th in Hall H. The time hasn't been announced for the panel on the opening day of the convention but I'm sure dedicated and crazy Doctor Who fans will be camping out all night and day to get a glimpse of Peter Capaldi at his first appearance at the biggest convention this year. 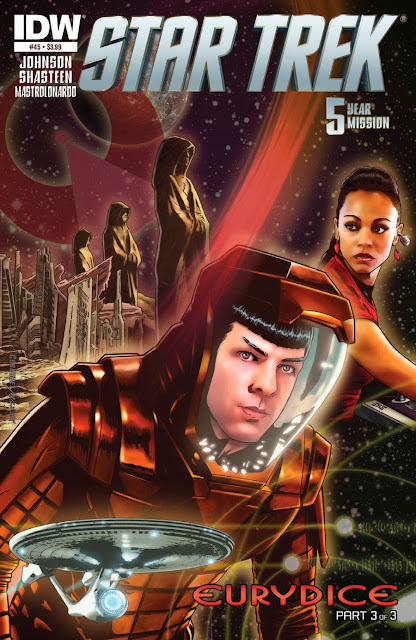 Titan Comics have released a 6 page preview for its summer event Four Doctors. Now the pages do reveal who the fourth Doctor will be in this adventure so tread carefully but I'm guessing most of you have guessed which Doctor it already is. The adventure starts August 12th. 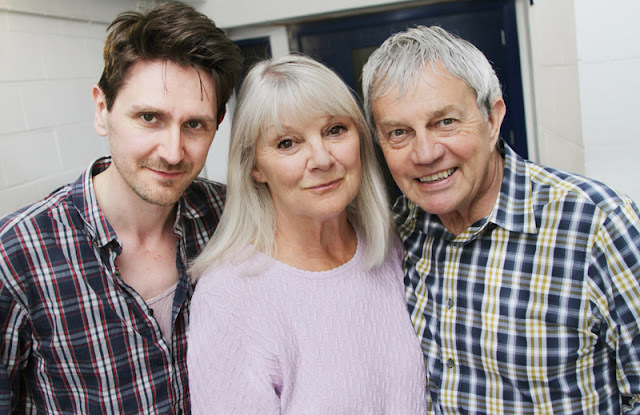 The second series of The Early Adventures will feature all the companions from the second Doctor era including a new actor to play Ben who was originally played by the late Michael Craze. Frazer Hines will be in all four stories of series two as he will be playing both Jamie and the Second Doctor. Reprising their roles will be Anneke Wills as Polly, Deborah Watling as Victoria and Wendy Padbury as Zoe. Elliot Chapman will be joining the TARDIS crew as the new voice of Ben. Big Finish has announced that Series Three,Four and Five have gone on sale for pre order along with Series Two. The First Doctor Companions will be back in 2016 in Series 3. That is good news for fans of the 60's era of Doctor Who as we will be getting 16 Adventures from the black and white era. Below is a synopsis for the upcoming Series 2 which comes out in September. 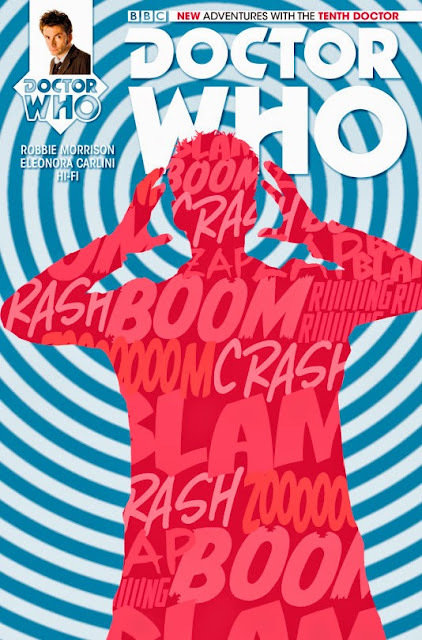 Out today in the UK and next month in the US is Doctor Who Magazine 487 which sports a pretty cool looking wrap around cover. Below is the details of what you can expect when you pick up your new issue of Doctor Who Magazine. 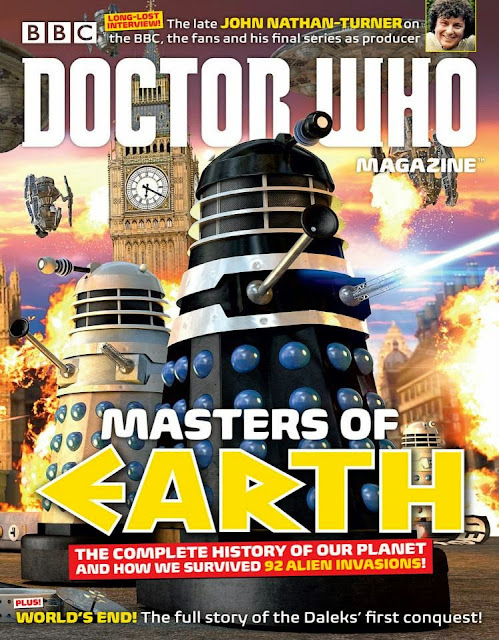 TO ITS DESTRUCTION, IS REVEALED IN DWM 487! 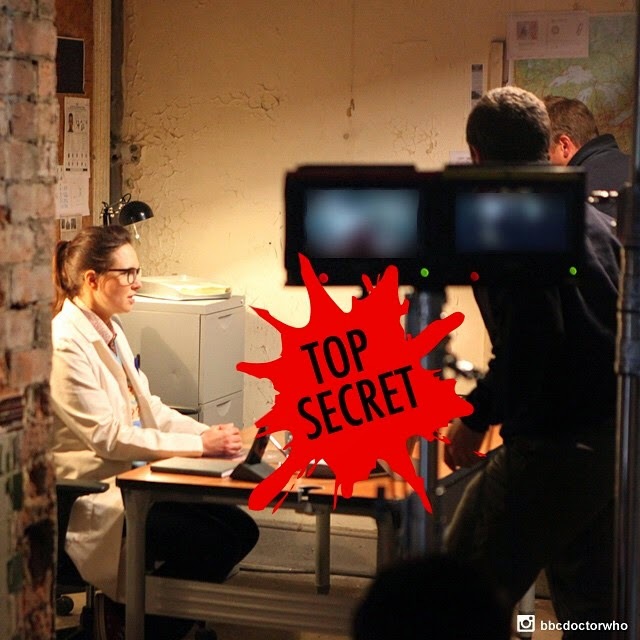 The Doctor Who Instagram page has posted some more pictures to tease us with and there is one in particular of interest that will make you scratch your head and speculate for a while. This week sees a new Doctor Who Magazine released and it will look in depth of all the invasions of Earth. Plus fans of 80's Doctor Who will be interested to read a lost interview with former producer John Nathan - Turner. Out Thursday in the UK. I am usually not a big fan of parodies but this one, by The Hillwood Show is outstanding. The amount of work these sisters put into their work is amazing. The Lord of the Rings and especially the Supernatural are incredible. If you are a Supernatural fan, you have to watch that one. 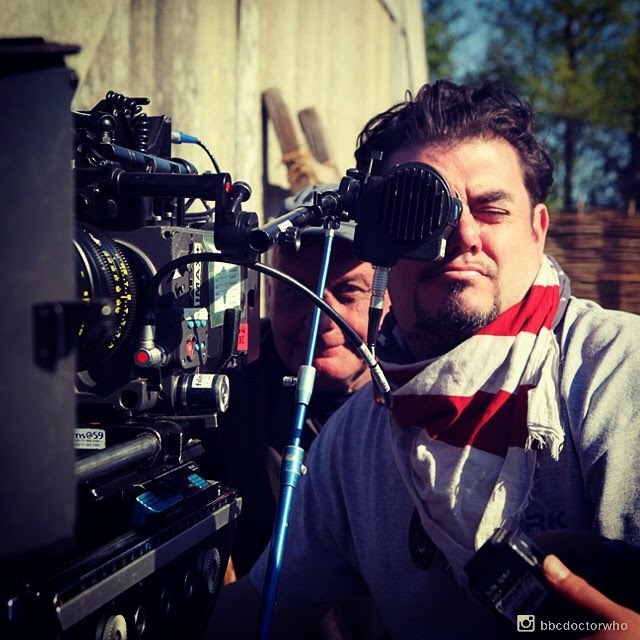 Eye on Sci-Fi - Mad Max, Twin Peaks and 4K Technology, is it for Sci-Fi fans? The summer movie season is ramping into high gear and what better way to start it off (besides watching The Avengers) is to experience Mad Max: Fury Road. Good news for Twin Peaks fans and I look at the new home theater technology coming out this year. 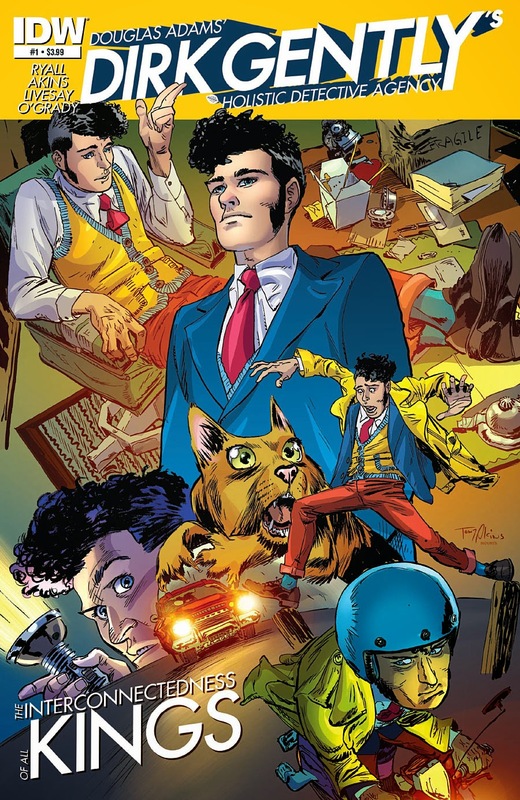 Out now in the UK is the Douglas Adams 4th Doctor story City of Death. First aired in September and October 1979 the City of Death starred Tom Baker and Lalla Ward and is the next Douglas Adams story to be novelized as The Pirate Planet is due next. 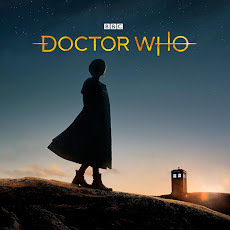 So for those who want to complete their Doctor Who Television Novelizations this one is a long time coming and sure to look good in your collection. Now if they can get the rights to do Eric Saward's Dalek stories. The Doctor and Rose are chasing a metal cylinder through the time vortex. 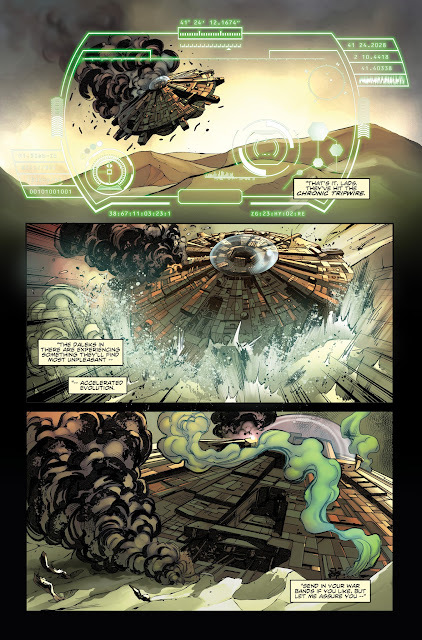 It is a high priority and The Doctor uses the TARDIS computers to lock in on it and follows it to Earth. They land in London in the year 1941 during the height of German bombing blitz. The problem is it will be difficult for The Doctor and Rose to find the cylinder as it is war time and the army is guarding it. Rose wanders off and ends up getting caught hanging onto the rope of a barrage balloon as she was trying to help a kid on a roof wearing a gas mask. She is soon rescued by the mysterious Captain Jack Harkness who knows where the cylinder is and wants to sell it for profit and wants to make a deal with Rose and The Doctor. 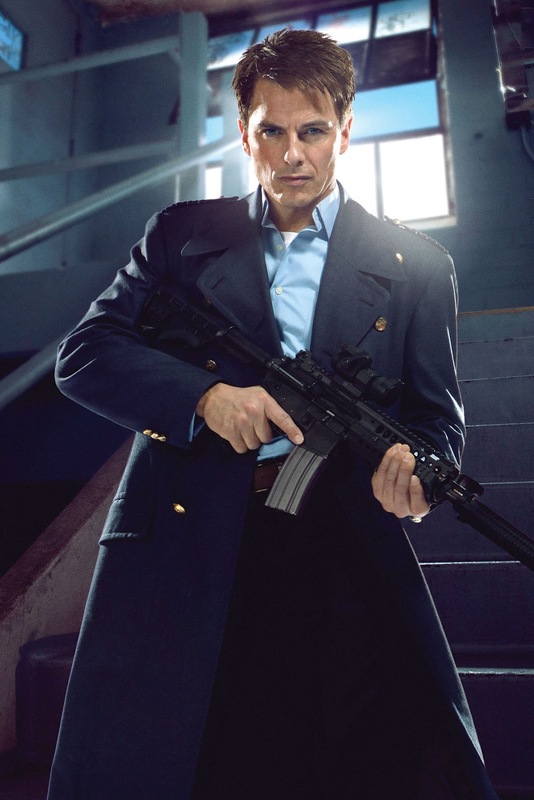 Today is the 10th anniversary of the first appearance of Captain Jack played by John Barrowman. 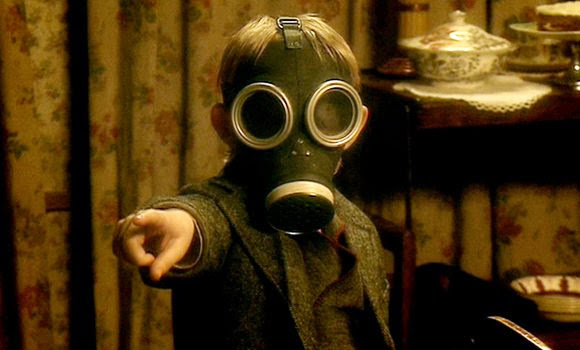 Captain Jack made his debut in the 9th Doctor story The Empty Child written by Steven Moffat. Hard to believe it has been 10 years since he first graced our TV screens and who would have imagined what he would get to after his debut. Below are two videos the BBC released today commemorating his first appearance. Out today is the 11th Doctor comic book issue 12. This months book starts a new story arc as The Doctor tries and figures out an ancient mystery. 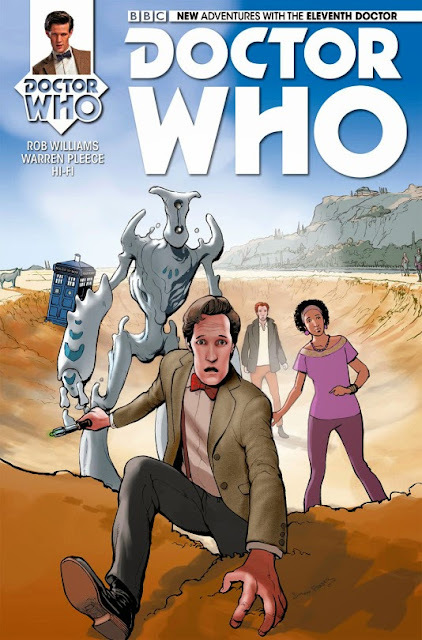 Titan Comics has released all the covers that will be gracing the comic books for their summer event Doctor Who Comics Day in August. 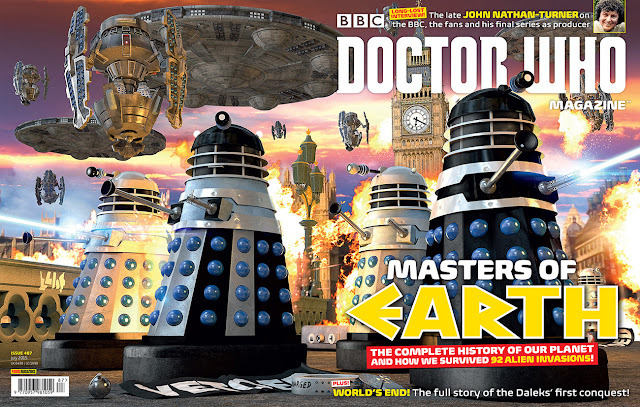 The story boasts four Doctors in this 5 week event and the last cover reveals who the fourth Doctor will be. 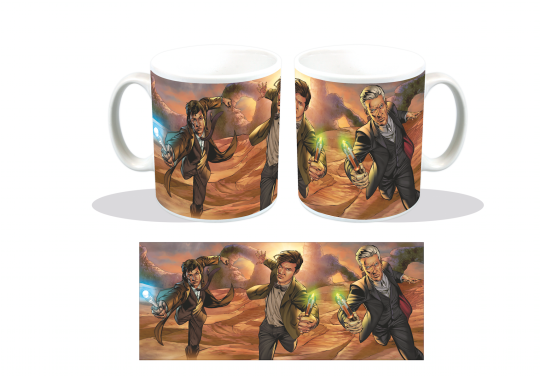 Below is the items that will be available on August 15th for Doctor Who Comics Day. Reserve yours at your local comic book store. 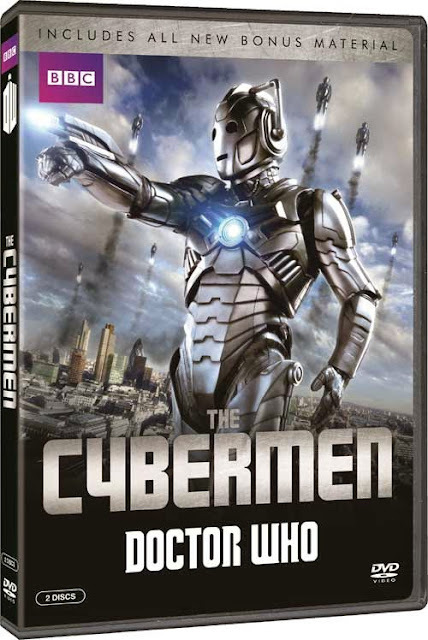 Doctor Who - Out Today In The USA "The Cybermen DVD"
Out today in the USA and Canada is The Cybermen DVD. This collection of Cybermen stories from NuWho features stories from the 10th, 11th and 12th Doctors. It also has a bonus story the 5th Doctor adventure Earthshock. Below is the contents of the 2 disc set. See the beginnings of the terrifying Cybermen in this thrilling Doctor Who compilation. Few villains in the fantastical world of Doctor Who spark such terror as the dreaded Cybermen - the murderous cyborgs with a bone chilling lack of emotion. This special release features iconic episodes of both the new and classic series showcasing the genesis and increasingly frightful transformations of these creatures, plus all new bonus content tying together the history of these fan favorite monsters. 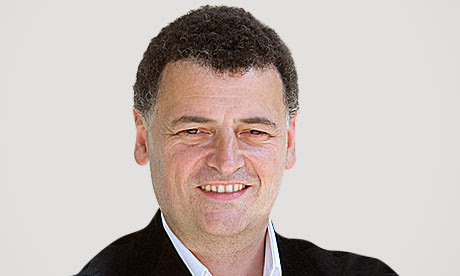 It has being making the rounds this weekend that Steven Moffat has signed on to be the show runner for Series 10 of Doctor Who. 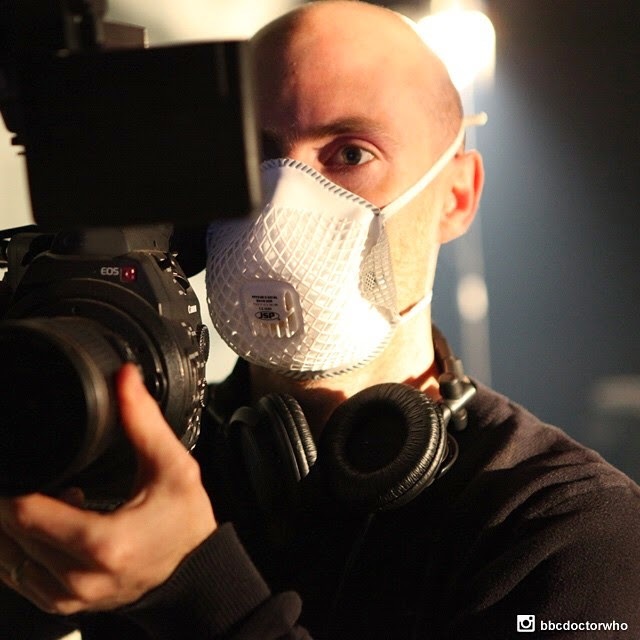 There have been two interviews that he has made the statement that he will be back for another series. He said it in this quote at the end of an interview with the Wales Online. He also said the same thing this past Thursday in NYC at a fan event which may be the same place the Wales Online pickup on this news. If anything it looks like we have Steven Moffat for at least one more series after series 9 airs. 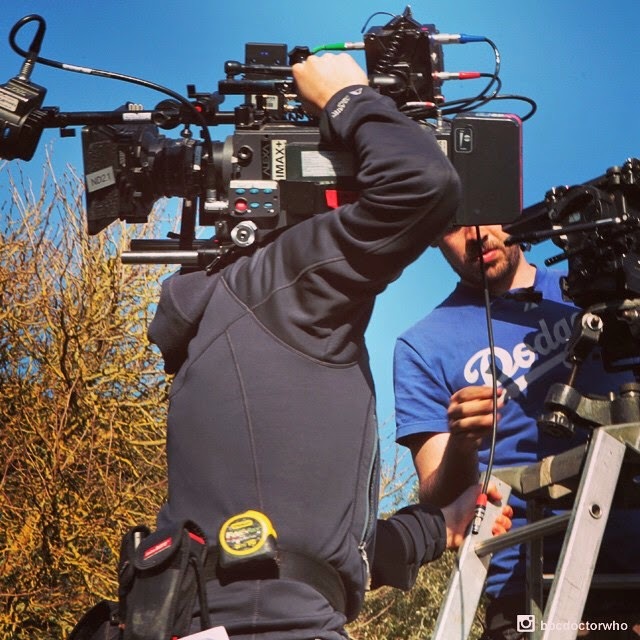 Here is another batch of filming pics from the Doctor Who Instagram site. 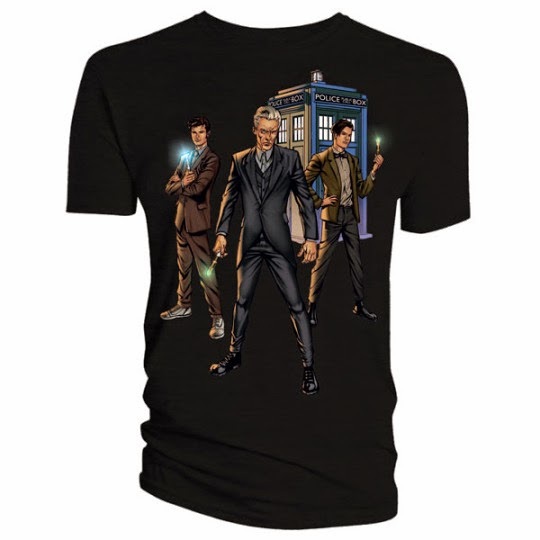 Classic Who fans will see something that has been updated from the Patrick Troughton era. "Wait a minute. Didn't I wear something like this in 'The Dark Knight Rises'"? Wow, the "Mad Max" reboot is dumb. And fun. Let's not forget fun. Lots of action - crashes, special effects, things blowing up, etc. If that's what entertains you during Summer Blockbuster Season, then go see "Mad Max: Fury Road" and you won't be disappointed. You get two hours of nearly non-stop, heart-pounding, adrenalin-fueled ... dumbness. The plot is simple. A one-armed Imperator Furiosa (Charlize Theron) is on a mission to lead a small band of escapees from the hellish Citadel as they search for The Promised Land (called The Green Place). 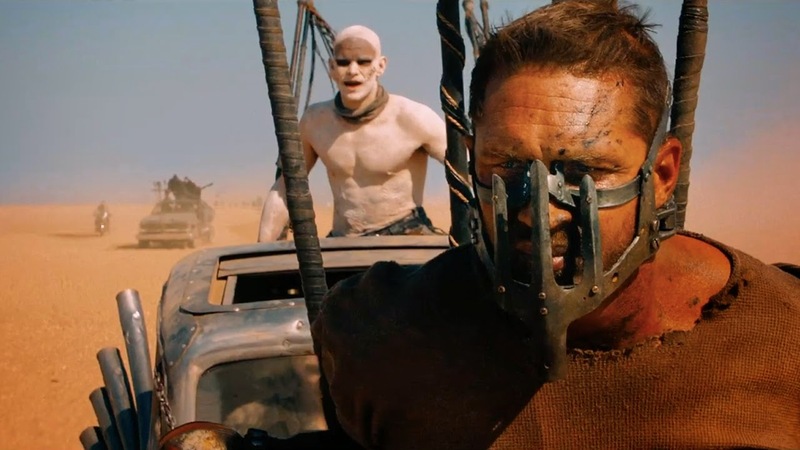 Along the way, she forges an uneasy alliance with Max Rockatansky (Tom Hardy). I set out to do this column monthly but there is just too much information going on right now. We have trailers for two new superhero series starting next season including Supergirl. With The Avengers: Age of Ultron topping 1 billion in the box office, what do we think is going to happen next year with Captain America: Civil War? And has marvel found it's Spider-Man? 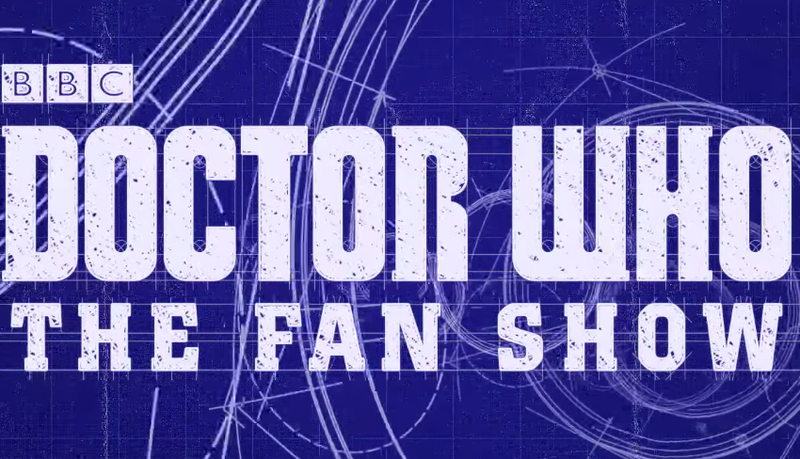 A new show on the BBC Doctor Who Youtube channel brings us a show with the fans point of view. Below is the first two episodes of the show and it isn't that bad. 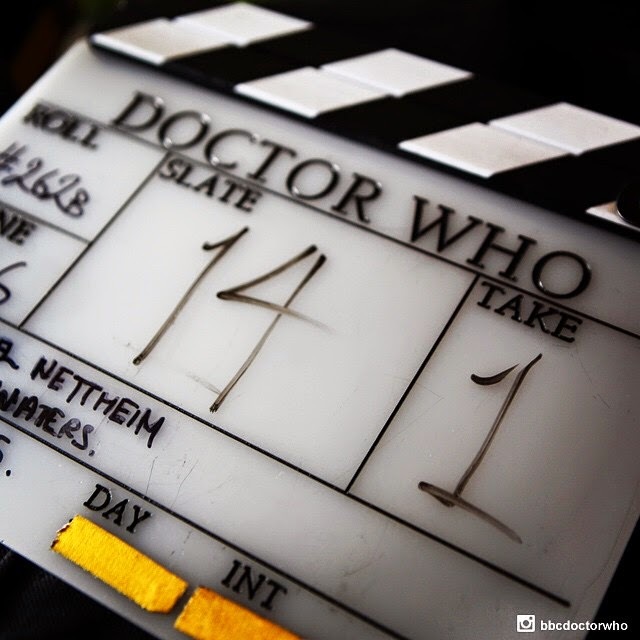 The first episode focuses on the return of Osgood and the second on what we know about Series Nine. Glad to see more original content lately on the different avenues like Youtube. 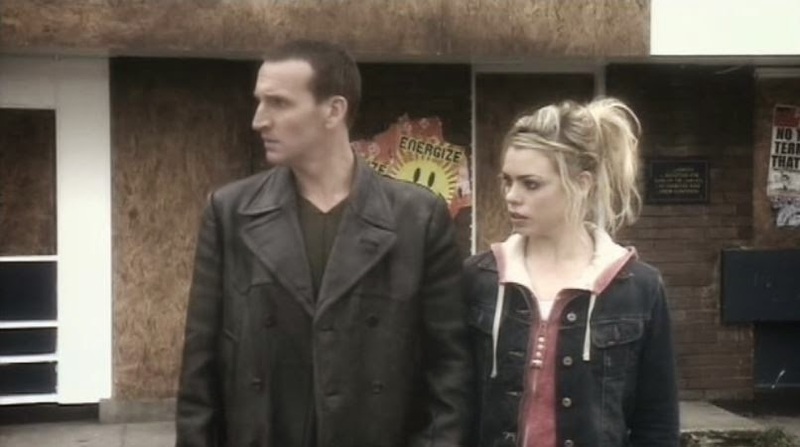 Rose asks The Doctor to take her back to November 7th 1987 the day that her Dad died. She wants to be sure he doesn’t die alone like the way he does in the story that Jackie tells. 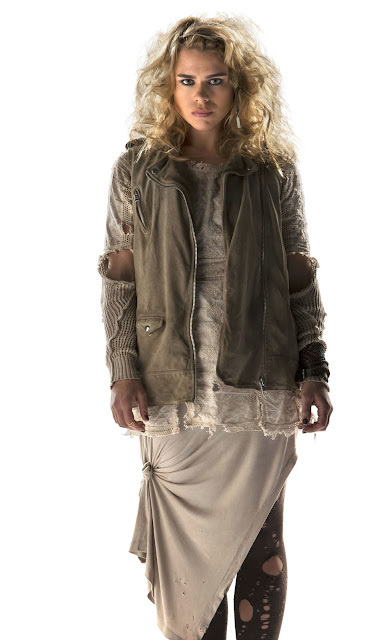 At first Rose gets cold feet and she just watches him die and asks The Doctor if she can try again. Against his better judgment he reluctantly agrees and they go back to that fateful moment. But it doesn’t go as planned. Rose changes her mind and runs out and saves her father from getting hit by the car that takes his life changing history and making The Doctor extremely angry. The web of time has been affected and serious consequences could happen. The Doctor decides to leave Rose in 1987 but when he gets back to the TARDIS it is nothing but an ordinary Police Box. Something devastating has happened as deadly Reapers start appearing out of nowhere killing people. You see while Pete Tyler lives Earth is destined to be destroyed and The Doctor must come up with a plan to save the Earth from Rose’s stupid mistake at the risk of hurting his young companion. Doctor Who will be coming to India starting tomorrow May 15th. All eight series will be shown on the India channel FX. Doctor Who has truly become a global success and now the people of India have a lot of Doctor Who to catch up on. This session I spend a fair amount of time looking at some TV shows which ended in seasons past following the news that Person of Interest has been renewed for only 13 episodes. We also hear more X-Files information and look back in time at a previously lost fantasy film and ahead in time to a new Luc Besson film. Titan Comics has announced its comic book event for their Doctor Who comics day. 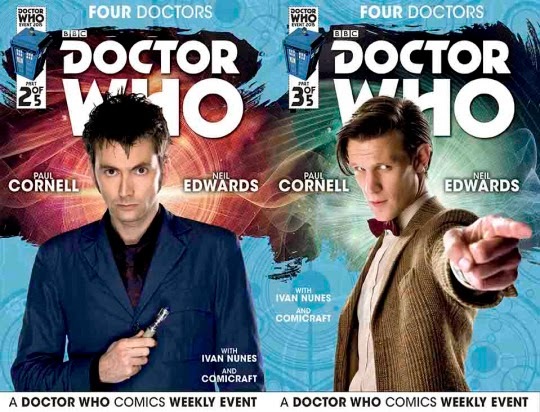 This is the second time they have done this as last year they released their 10th and 11th Doctor comic books and gave away San Diego Comic Con exclusives. 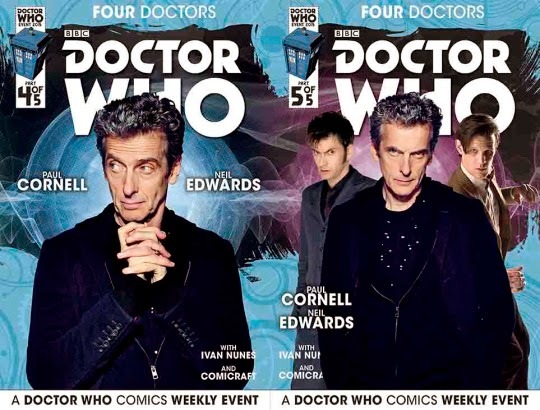 No word on merchandise yet but they have released the covers for a five week mini series featuring four Doctors. We know three of them but the fourth one is a mystery. Today sees the release of a new story line for the 10th Doctor and Gabby. This time their travels have them up against a new foe The Echo. Will The Doctor save everyone in time before insanity takes hold. 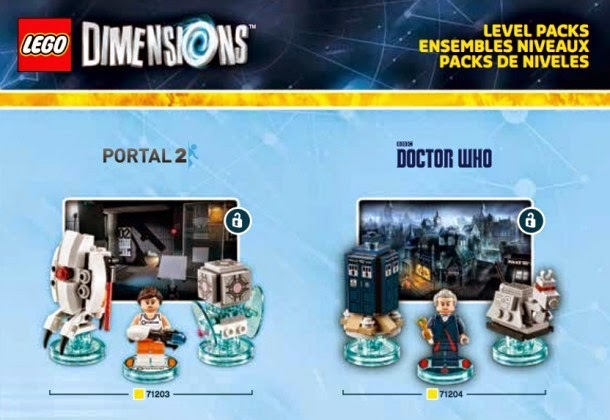 The Lego site released a picture showing the 12th Doctor and K- 9 in an advert that shows that they will be in the new Lego game Dimensions. 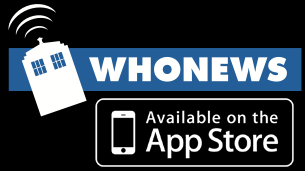 The game while not set in the Whoniverse will have a bunch of adventures which you will have to buy several packs to play. So far we only know that the 12th Doctor is in it. 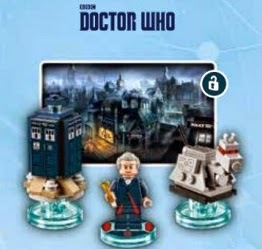 Hopefully more Doctors will be added and now what we need to see if there will be any Doctor Who Lego sets to build. 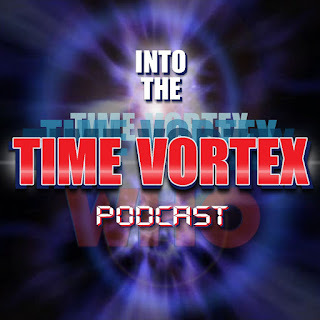 The countdown to 200 continues as the 6th Doctor takes center stage in release number 199. He is joined by Jamie and Zoe and face a mainstay villain from the 2nd Doctor era The Cybermen. 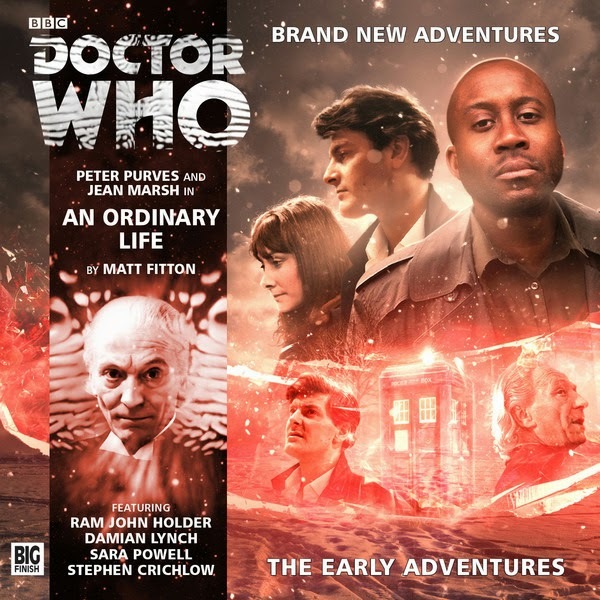 You can get this audio adventure from the Big Finish website. 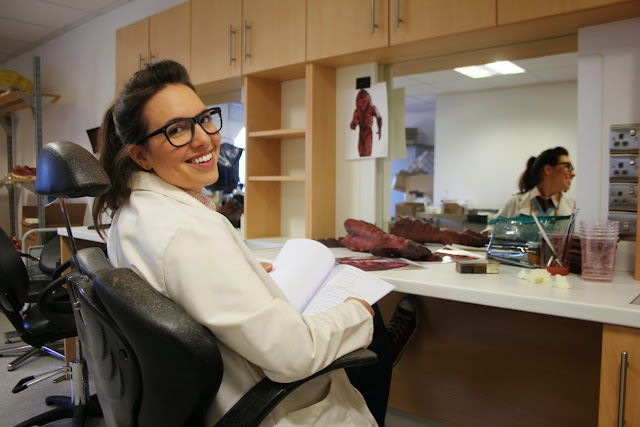 UNIT scientist Osgood, played by Ingrid Oliver, returns to Doctor Who for season nine. 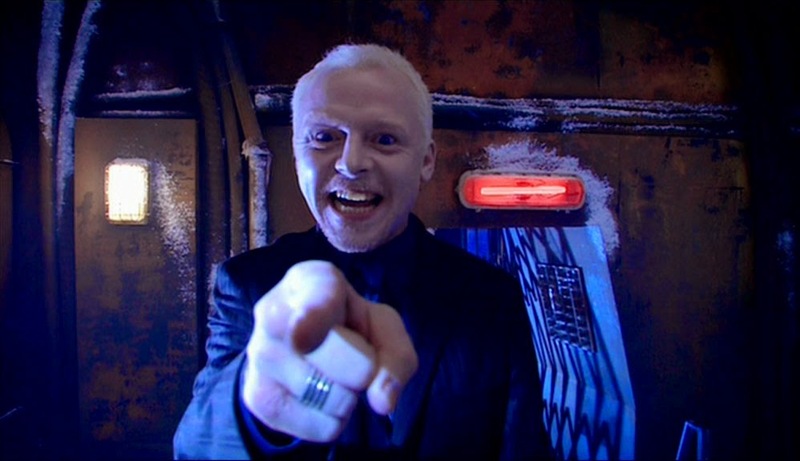 Having been killed by Missy (Michelle Gomez) in the show’s season eight finale ‘Death in Heaven’, Steven Moffat decides to bring back the Doctor’s biggest fan. Steven Moffat, lead writer and Executive Producer, said: “Osgood is back, fresh from her recent murder at the end of last series. We recently confirmed that Osgood was definitely dead and not returning - but in a show about time travel, anything can happen. The brilliant Ingrid Oliver is back in action. This time though, can the Doctor trust his number one fan?" While escaping from the Daleks the TARDIS makes an emergency landing in London in the 1950’s. Steven and Sarah rush over to The Doctor who has collapsed. They go outside as the TARDIS more or less has pushed them out to save them from what is caused it to make the emergency landing. Out in the cold and snowy streets of London Steven and Sarah find help and shelter from Joe and Audrey. Joe and Audrey are immigrants from the Caribbean and struggling to make a living with a new born and the constant racist harassments. But despite all that they take the three travelers in and help them out. The Doctor, Rose and Adam arrive on Satellite 5 in the year 200,000 which is during The Fourth Great and Bountiful Earth Empire. They do a little bit of exploring and find out that Satellite 5 main job is to send information across the Earth Empire. Lots of stuff goes on in Satellite 5 like how they do the information sending which is pretty strange in itself as the computer is interfaced from a chip they implant in you. The highest upgrade has the info downloaded into your brain directly. The August release and the series four finale for The Fourth Doctor Adventures Return to Telos has had it's cover released. 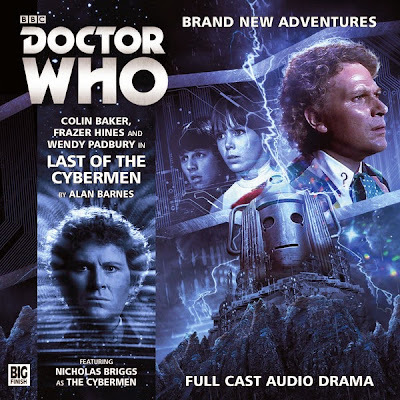 This story features the Cybermen and also guest stars Frazer Hines as Jamie and takes place during The Tomb of the Cybermen. I'm pretty curious to see how Big Finish pulls this one off. Preorder details at the link below. This imaginary battle is heating up both on TV and in movies. While DC has been sluggish in getting going, Marvel is hitting the target with The Avengers: Age of Ultron. 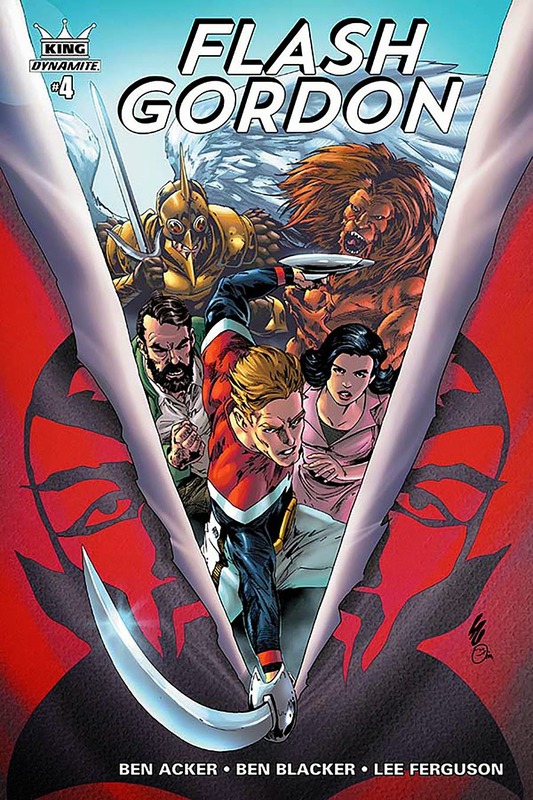 DC is fairing better on TV but Marvel is gaining some momentum. Read more about Gotham, Flash, Arrow, Suicide Squad, Captain America: Civil War, Avengers: Age of Ultron, Batman vs. Superman and Agents of SHIELD. We also see that Marvel is not perfect. 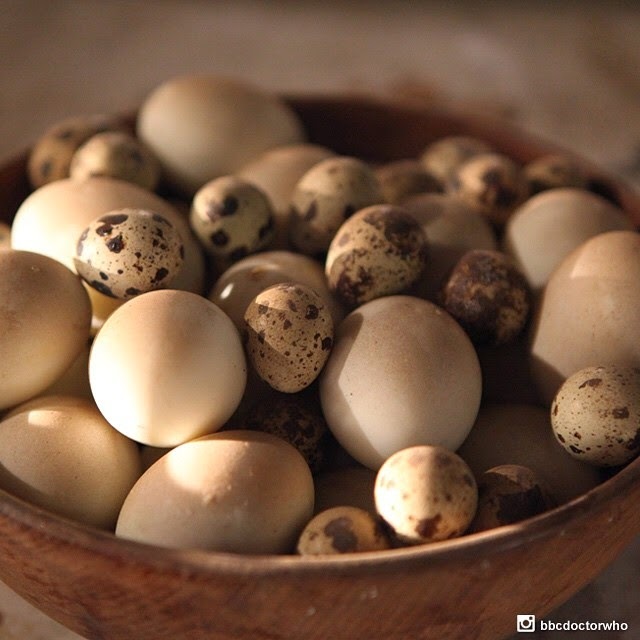 The BBC Doctor Who Instagram page has released a few more pics and one of them is spoilerish. It does show a really good picture of one of the aliens or a battle suit of some kind. If you don't want to see it do not press read more. A new month another batch of Big Finish audio adventures. 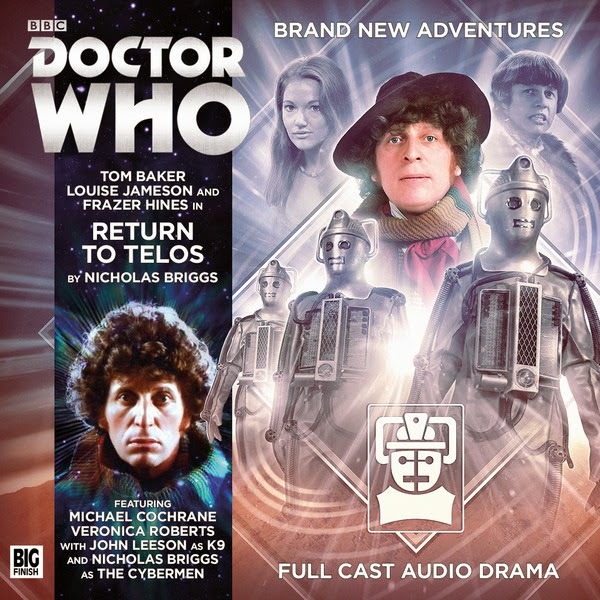 May sees the release of the fifth release in Series four of the 4th Doctor Adventures. The Doctor and Leela invite themselves to a dinner party only to find out that something isn't quite right. Suburban Hell also has a guest star whose voice will sound familiar to NuWho fans. You can order Suburban Hell from the Big Finish website.